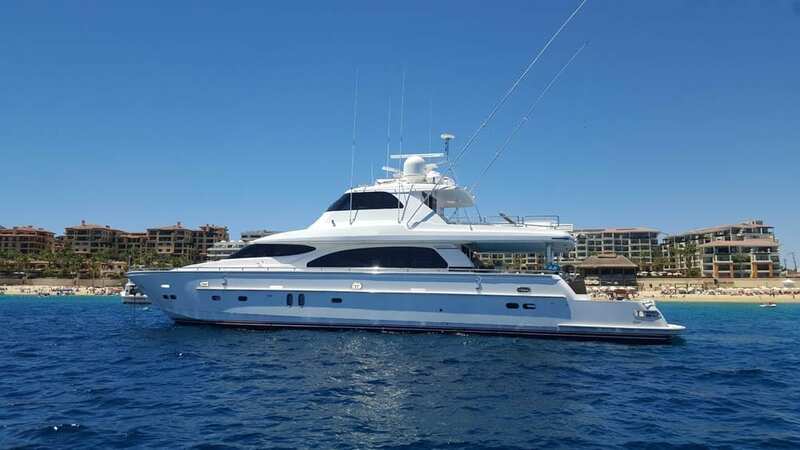 Cabo luxury yacht rentals on a beautiful 92 ft luxury yacht. 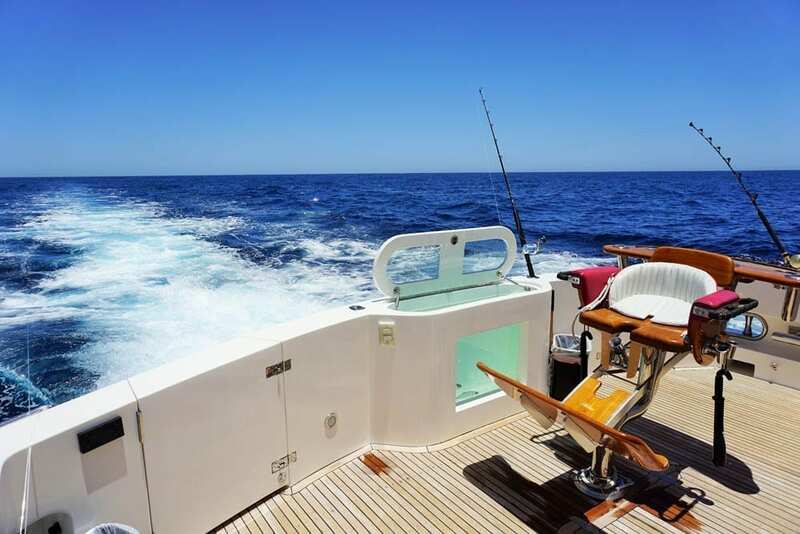 Built by Horizon in 2007 with a custom 6 ft cockpit extension, a Custom Release Fighting Chair and is fully equipped for big game fishing. This private yacht is a true luxury cruiser built for those who enjoy the very best. With 4 cabins, there is plenty of interior space with modern appointments and upscale finishes. Outside there is a large bow area perfect for tanning and soaking in the beautiful Cabo sun! 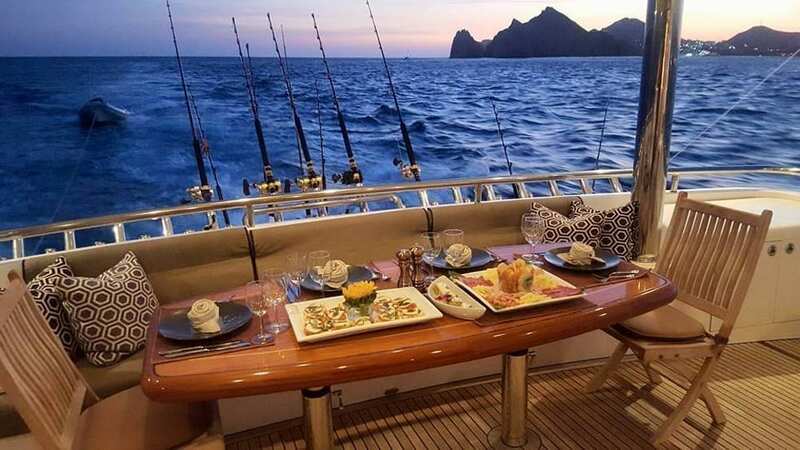 Complete with all the toys including snorkel gear, kayaks, paddle boards and more, this yacht is well suited for big game fishing and is very capable of providing a local evening sunset cruise around the famous Cabo Arches. Overnight accommodations are available for your Cabo luxury yacht rentals!